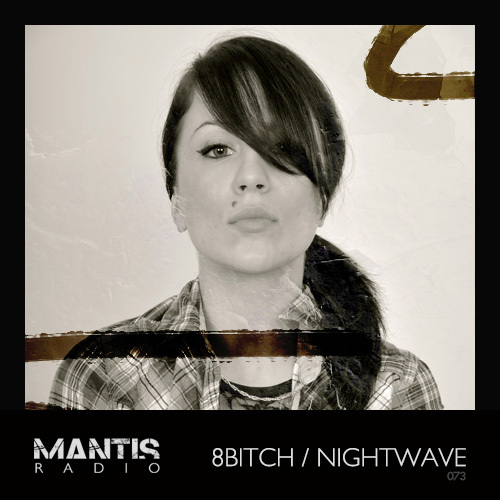 Coinciding with her début on Seed Records we’ve an exclusive mix this week on Mantis Radio from Maya Medvesek and Nightwave. Originally of Slovenian descent but splitting her time between Glasgow and London, 8Bitch’s Maya Medvesek is part of the second wave of talented producers to come out of Scotland alongside the likes of Hudson Mohawke, Runrig, Floella Benjamin and Rustie. – (NB. Medvesek has since changed her name to Nightwave). Her track G41 already finding it’s way on Ministry of Sound’s ‘Adventures In Dubstep and Beyond’ compilation and with a heavy touring schedule – where she’s everywhere from Copenhagen to a public toilet in Shepherd’s Bush – big things are expected for this producer. It was her upcoming release on Seed Records, Equinox that got the cogs turning at Mantis Radio HQ. So impressed was I by her 4 track EP I had to invite her onto the show. Mythical in stature, the tunes are all named after Greek and Egyptian gods and goddesses, but for god’s sake don’t read too much into that, all you really need to know is there is more flavouring in 8Bitch’s aural oeuvre than Levi Roots’ Reggae Reggae Sauce bubble bath which may yet be proven to be the original source of her fated digital disfigurement. Musician since the age of 5, Penelope Cruz’s stunt double since the age of 6, Ronnie Corbett’s from the age of 7, plus three times Judo champ in her homeland, is there nothing that the 8Bitch can’t turn her hand to? I say hand, because her left hand is actually made from plastic and therefore doesn’t count. Next time you meet her, look closely. It’s amazing.